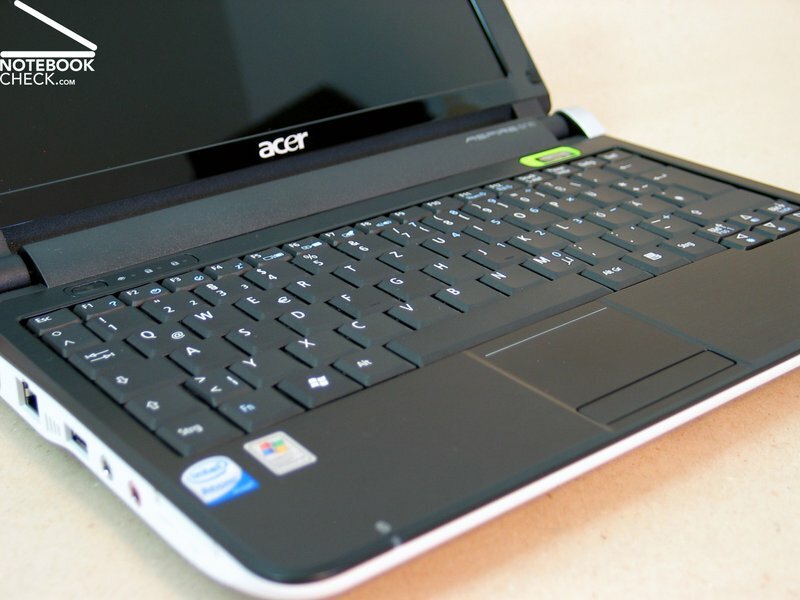 Even though the Eee PC from Asus probably has the highest profile among the mini-notebooks, the title of the most sold netbooks goes to Acer with the Aspire One A110. 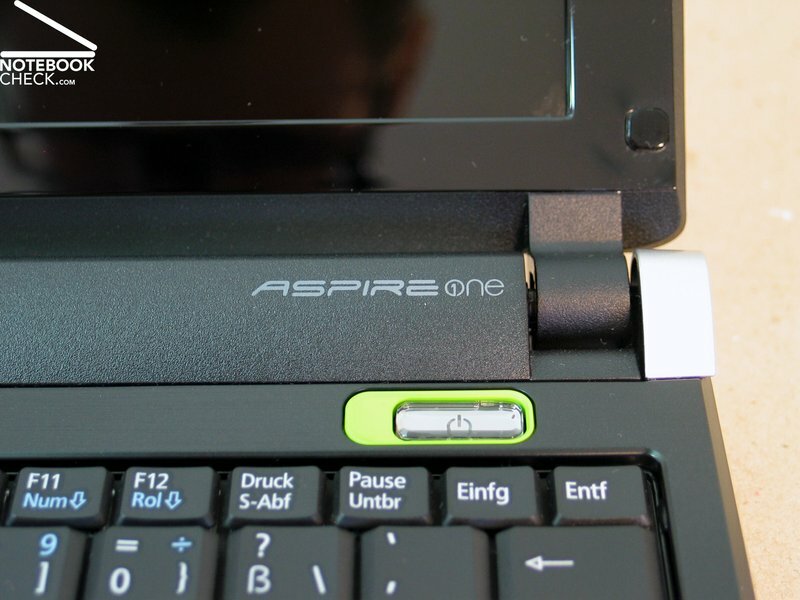 With this however, the staff for the 10 inch follow-up model, the Aspire One D150, is set especially high. Particularly the competitors have lined up well with numerous models in the 10 inch category. 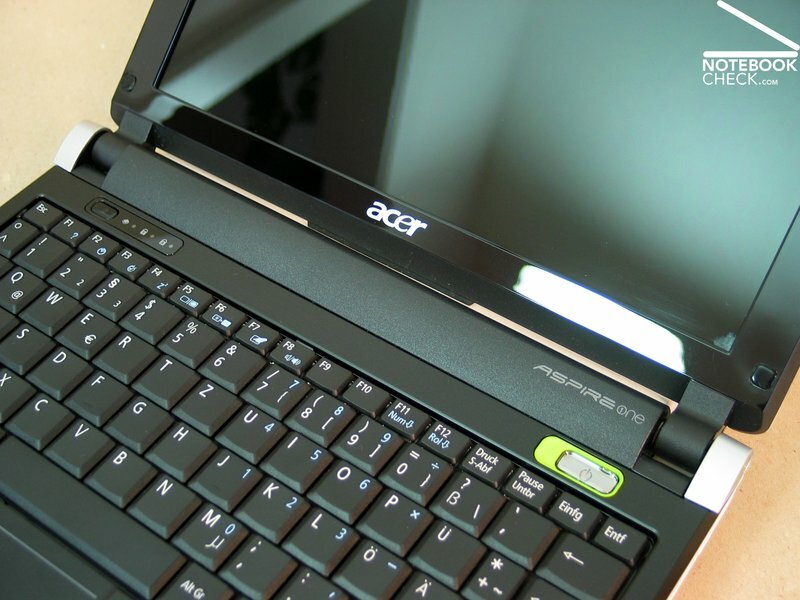 With the title "Aspire One A110L ", Acer sent a netbook into the arena last summer which has helped the manufacturer to unpredictable growth rates. The "L" in the name referred to Linux as the operating system. 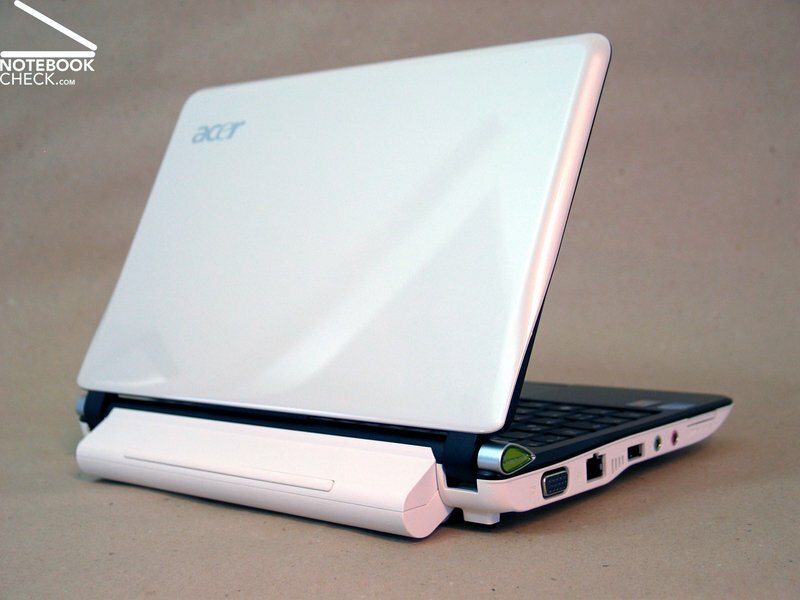 With increasing circulation of the netbook the wish for a more common desktop also increased, to which Acer complied with the A110X configured with Windows XP. 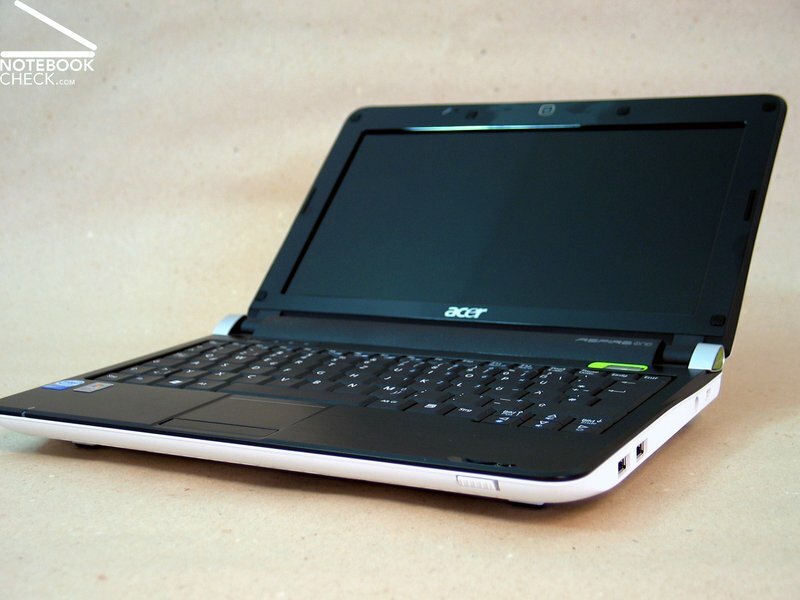 Besides the somewhat refreshed version of the 9 inch netbook in form of the A150 (L or X), in which now a somewhat more voluminous hard disk and optionally also a UMTS module is found, Acer presented in the frame this year's Cebit in Hannover the Aspire One D150, a further netbook in a 10 inch format. In the meantime Linux has been dismissed. The netbooks have moved far away from the original niche position, in which the tinkerer liked to take the Windows alternative. What now counts on the netbook market is exclusively the broad mass, and they obviously also want a bigger display. 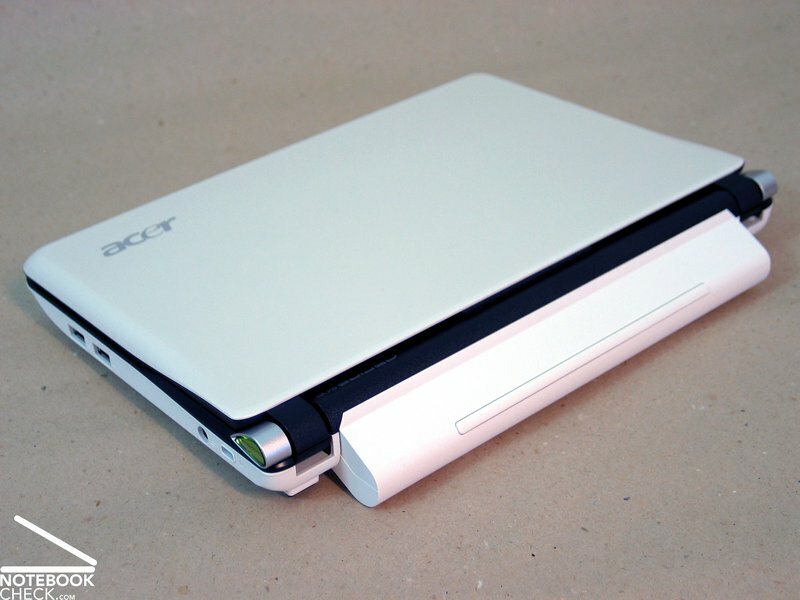 Acer decided to give the mini-notebook a new case with the change to the 10 inch format. 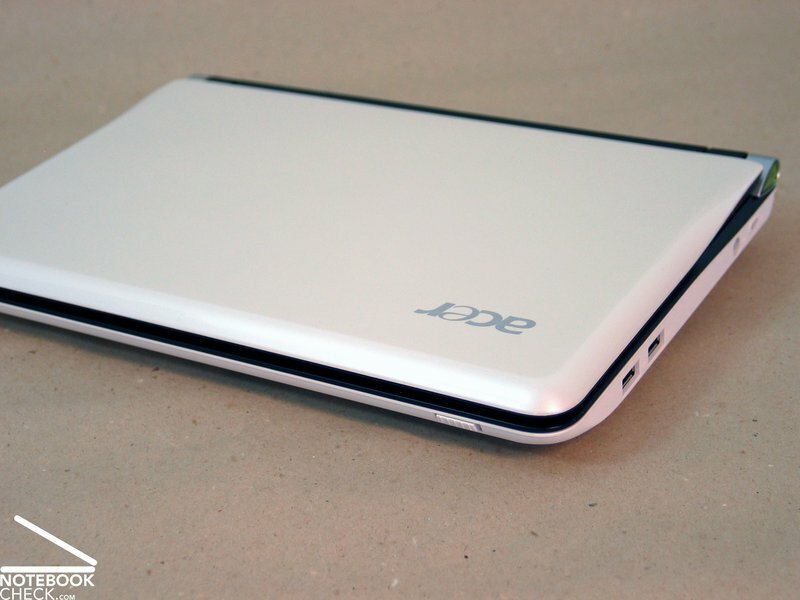 Although the base unit turned out fairly flat, the Acer Aspire One D150 makes a comparatively big impression. 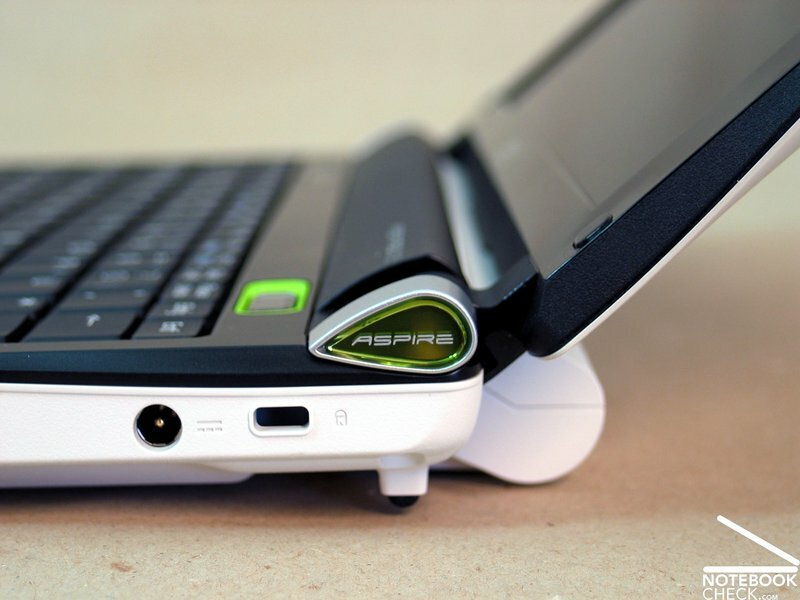 The reasons for this are the immensely protruding battery out of the case as well as the rubber feet in the front area, which elevate the Aspire One far above the base. 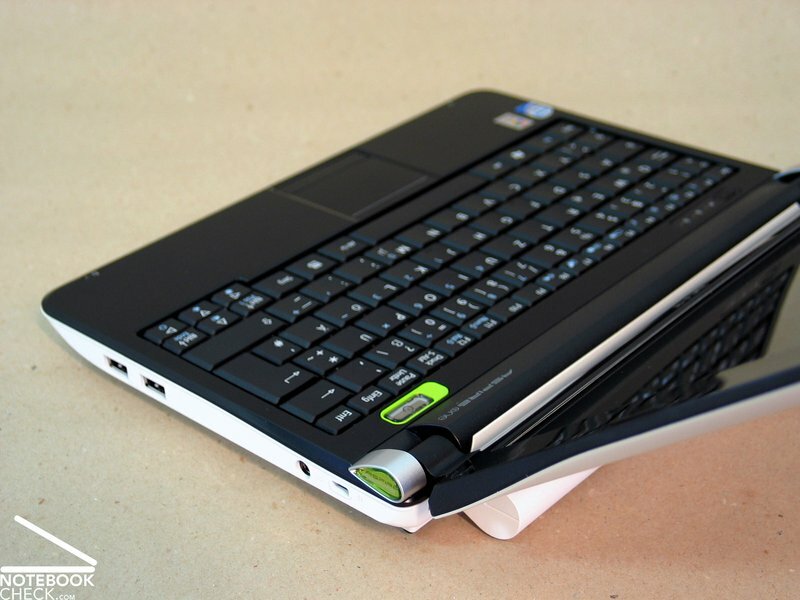 Acer sets optically on a kind of "sandwich-design", meaning in a closed state the notebook shows itself completely in white while the insides, so the keyboard and the display casing, are kept in black. The display lid presents a glossy finished surface, which is surprisingly resistant to fingerprints and smudge. It looks different on the inside of the notebook on the black display casing. Every handling to adjust the viewing angle leaves its marks here. Fortunately, the rest of the case surfaces were omitted from this high gloss finish. In the area of the wrist rests they even tried to imitate a brushed metal surface by means of a fine fluted structure. This works optically, but they can't hold a candle to real metal components, as they have been built in to Asus' current edition of the Eee PC (Eee 1002HA), from the feel. The whole case issues a more unsophisticated plastic flair, anyhow. At least in regards to stability the chassis leaves nothing to be desired. The base unit, as well as the screen show an excellent winding stiffness and, above that, present themselves also particularly resistant against the effects of pressure impact. The Aspire One D150 can be picked up and carried around at all corners and edges without hesitation and without even the slightest creaking. The display hinges have also turned out very exemplary. They don't only seem to be sturdy but they also hold the screen with a good amount of resistance in place but also allowing a readjusting of the opening angle with only one hand. As to the opening angle: This is restricted to approx. 140° which should lead to restrictions in use, though. The reason for this restriction is the protruding battery on the back side and for which a rubber lip has been fastened to the bottom edge of the display in order to prevent a thrashing when opening too recklessly. 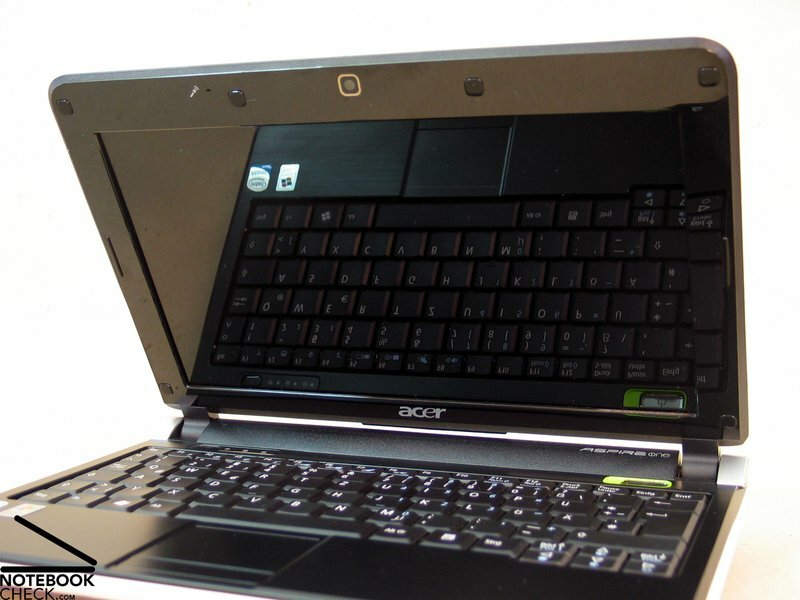 The Acer Aspire One D150 bids not more and not less than what an average current netbook should have in regards to connectivity. A VGA-out for connecting an external monitor, a LAN connection, microphone and headphone socket and a total of 3 USB ports count to this. A multi-cardreader is also found in the D150. The placement of the ports is quite alright, considering the reserved space available. 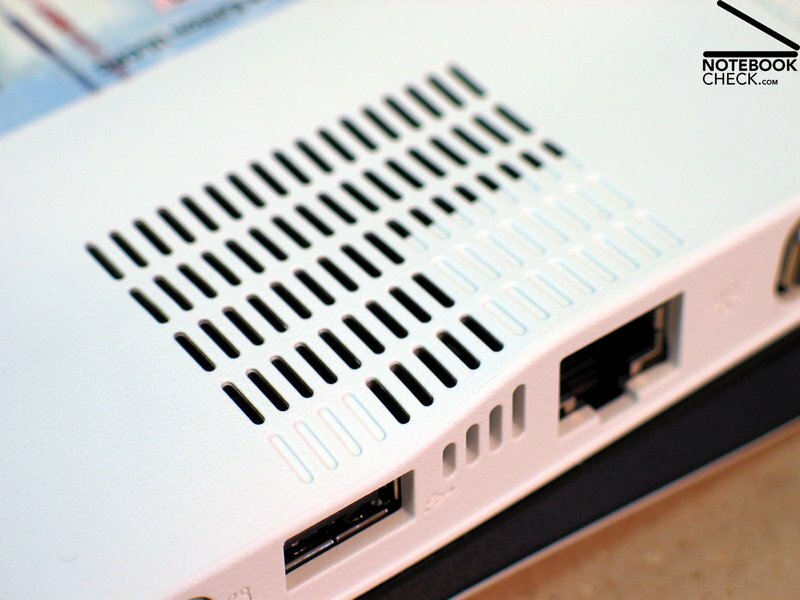 Especially those placed in the back area of the side edges, the more permanently occupied ports, like power supply, VGA-out and LAN, have to be positively mentioned. A module from Atheros (AR8121/AR8113/AR8114 PCI-E Ethernet Controller) takes care of the cabled network connection. The wireless unit also comes from Atheros (Atheros AR5007EG Wireless Network Adapter) and supports the common standard 802.11b/g. The availability of Bluetooth depends on the chosen model. If it's at all present, Acer uses a Bluetooth 2.0+EDR (Enhanced Data Rate) module. 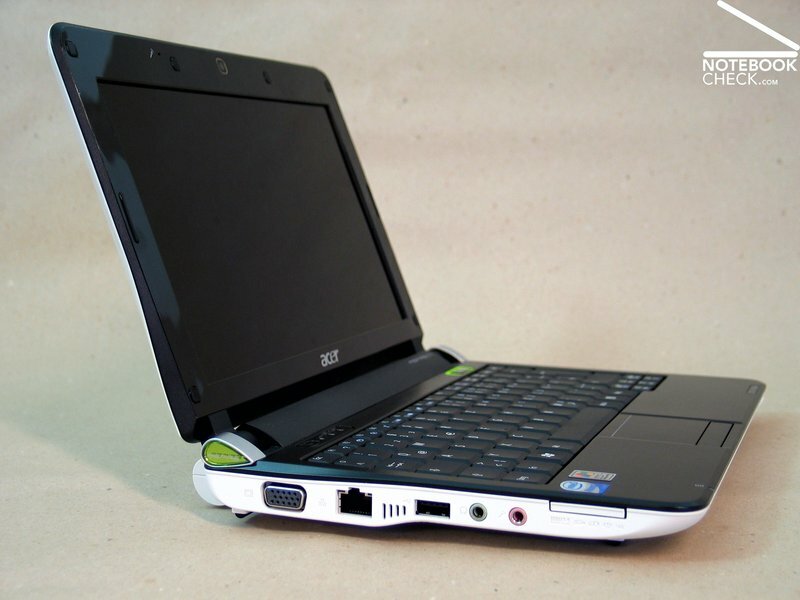 According to Acer the D150 should also become available with a UMTS/HSDPA module. Up till now there aren't any such models available. Acer shows themselves a bit stingy when it comes to the granted basis warranty. This is ex-factory merely 12 months, but for that an international protection is included. The guaranty can be extended to up to three years, though. 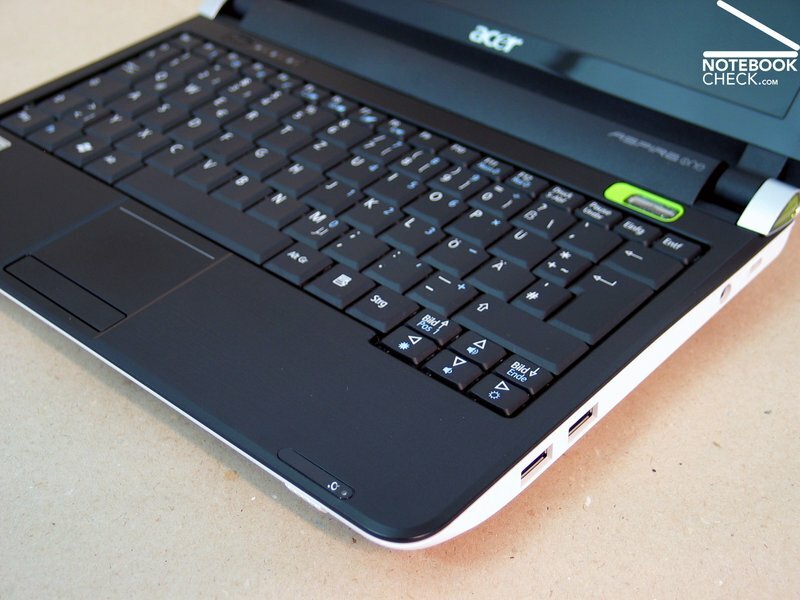 The Acer Advantage warranty extension for 36 months required for this adds up to about 40.00 Euros and can be therefore almost called a deal. The keyboard turns out more generous than in many 9 inch devices but in comparison to the most renowned 10 inch netbook competitors, the Acer Aspire One has the smallest keys. 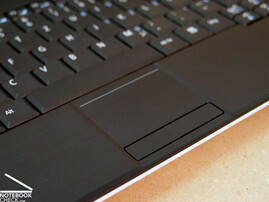 The offered figure keys turn out slightly smaller than those of the Asus Eee PC 1002HA (17x16mm) and even considerably smaller than those in the Samsung NC10 (17x17mm), measuring 16.15 millimeters. In the practical test a fairly acceptable text input was still possible but it took a certain amount of accommodation time to get the inevitably high error rate in the beginning under control. The typing feel was characterized with a more slight pressure resistance of the keys and a palpable, almost seemingly jerky pressure point. It was also obvious that the keyboard let itself be partly pushed in, which didn't further affect the use of the notebook in a negative way. 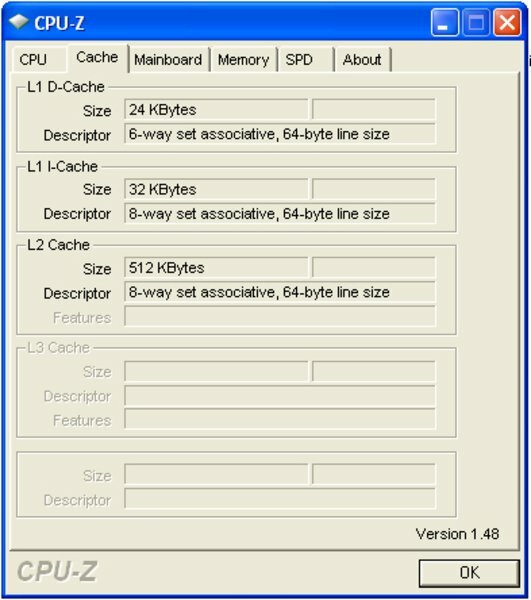 The 10.1 inch WSVGA display bids, with a resolution of 1024x600 pixels, the netbook typical desktop. For simple office applications and surfing in the internet this suffices but you have to chum up with having to scroll a lot, particularly in the vertical area. In the meantime, many websites, as well as applications are intended for the common 1280x800 WXGA format, making it hard for netbooks to a part. We could surprisingly top Acer's stated 180-nit display brightness in our tests. 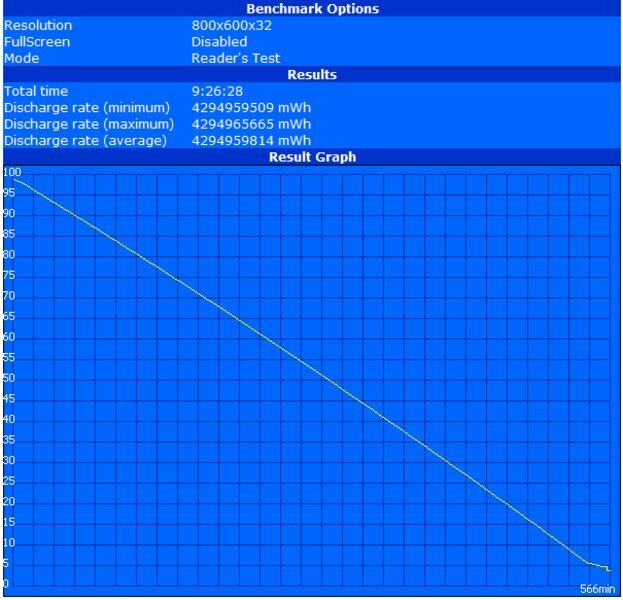 Our test sample of the Aspire One gave a maximum of 239 cd/m2 in the brightness test. The netbook cut off most excellently in view of illumination as well: 90.8%. The built in screen showed, beside these excellent determined results, also weak points. One of them is the only mediocre contrast of the display. With a black value of 1.51 cd/m2 the, according to Acer, "high resolution" screen reached a maximum contrast of 158:1. The reflective "Acer CrystalBrite" display also can't be counted as a strong point. In adverse light conditions, as they are especially unavoidable at outdoor use, glossy display surfaces are the cause of strong reflections. Especially for mobile netbooks, with which you would like to be on the go in public transportation or simply want to surf a bit in the next park, this is a significant disadvantage in our opinion. In regards to the viewing angle stability, the WSVGA doesn't present itself very generous particularly in the vertical field. Image distortions have to be counted with already at a slight deflection from the optimum, perpendicular viewing angle. You have to struggle mainly with increasing reflections in the horizontal viewing area. 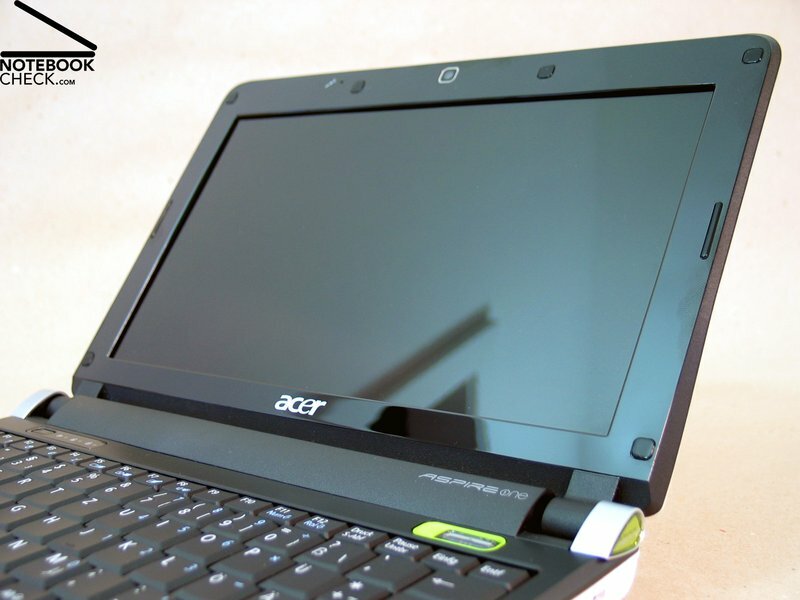 The newest edition of the Intel Atom CPU, which has been developed especially for netbooks, has made it into the Acer Aspire One D150. 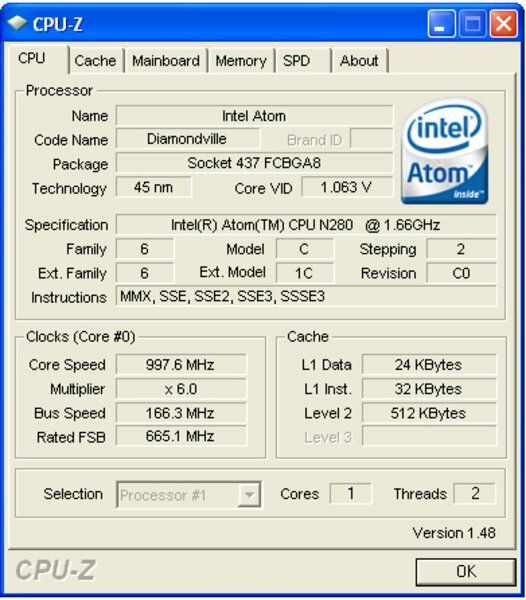 The Intel Atom N280 chip has a Front Side Bus of 667 MHz (N270 – 553 MHz), 512 KB L2 cache and has a clock rate of 1.66 GHz. Therefore it's more efficient than the forerunner chip, the N270. 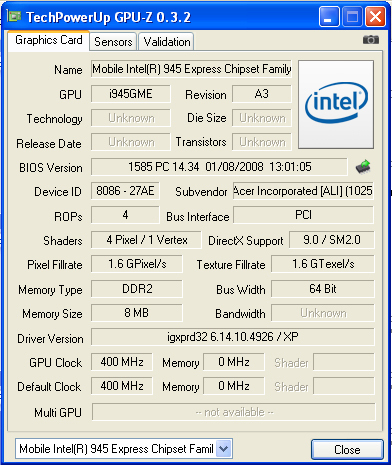 The integrated Intel GMA 950 graphic chip set, which is also used in most netbooks of the competitors, takes care of the graphic needs. An advantage of this graphic solution is primarily the low energy consumption with a maximum of up to 7 watts. 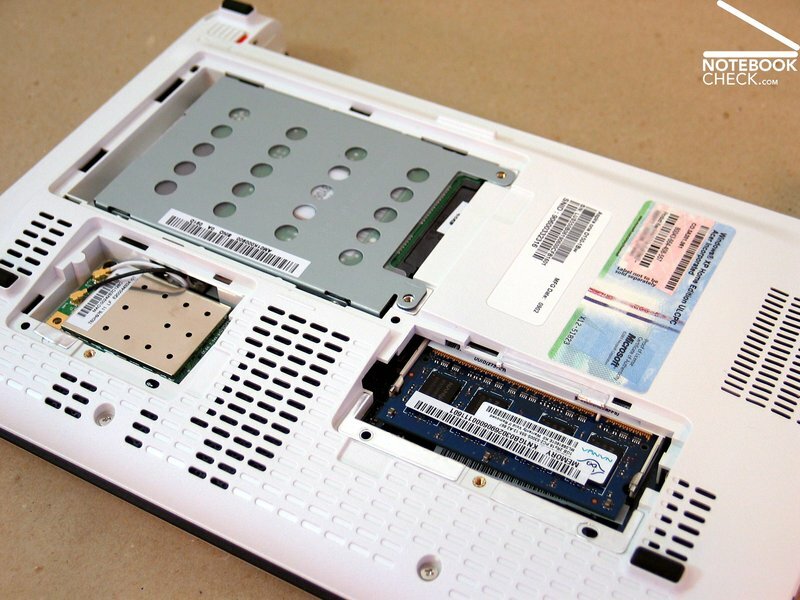 The cooling load of the chip turn out equally low, which is particularly good for compact netbooks. 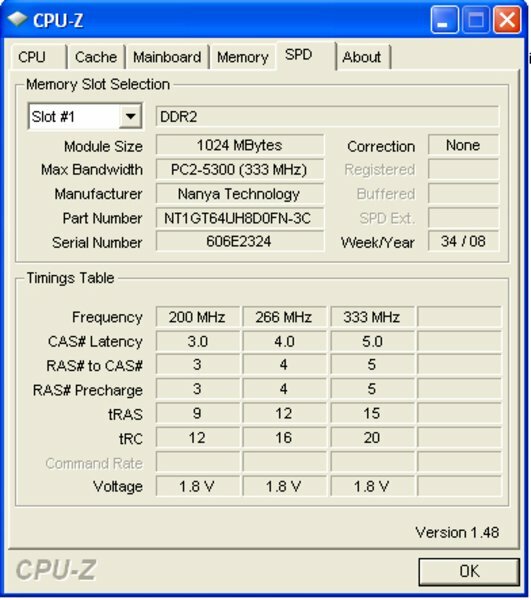 A minimal advantage of the Intel Atom N280 CPU in comparison to other models with the N270 CPU and GMA 950 graphic shows itself in the 3D Mark 2001 benchmark test. The N280 chip can note an increase of approx. 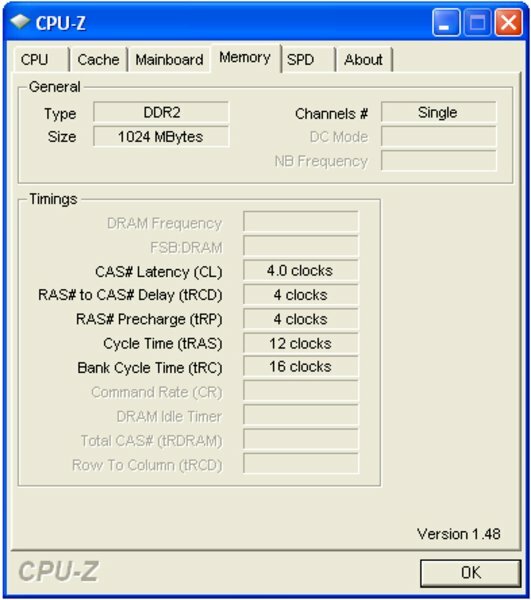 5% in the CPU-heavy 3D Mark 2001. There can also be a right passable performance increase in comparison to the N270 chip in the Cinebench R10 benchmark noted. The new Atom chip can improve itself considerably, particularly in the Single-Core Rendering test. This is an increase of, believe it or not, 100% with 567 points. In return the result in the OpenGL Shading test stays behind the expectations. The result in the SiSoft Sandra CPU Arithmetic benchmark test and the performance at SuperPi (calculation of Pi) confirms the executed performance increase. Slight increases of the Dhrystone and Whetstone results are confronted with a considerable computing time reduction in the SuperPi benchmark test. The up-and-coming competition of Via, the Nano U2250 CPU, positions itself very good, becomes obvious and stays with the single results only slightly behind Intel's new Atom CPU. We also tested the performance during playing a HD video. A trivial studdering every now and then was noticed in playing the HD demo clip of "Coral Reef". The Acer One D150 cut off a bit better in the direct comparison to the Nano CPU from Via (Samsung NC20). 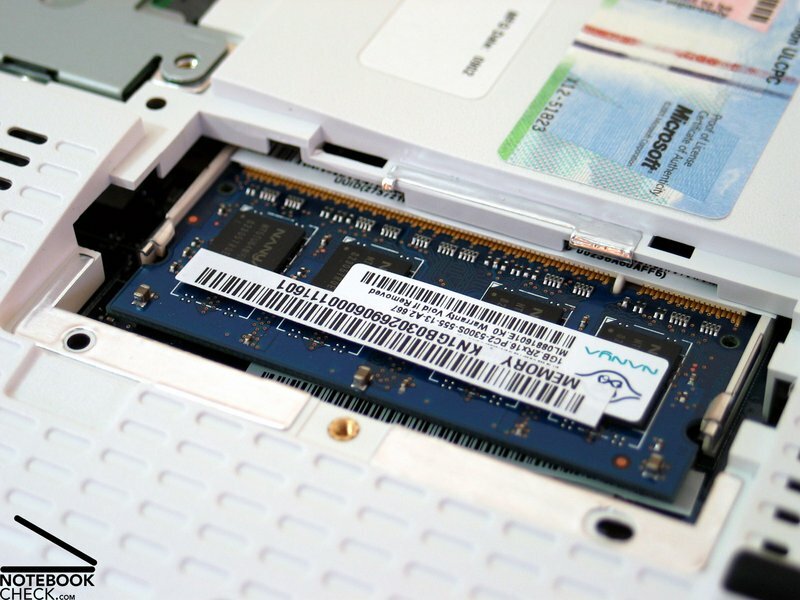 Our test device of the Acer Aspire One D150 was equipped with a 1024 MB RAM of the type DDR2 PC5300. Acer states the maximum storage allocation to have a total of 2 GB. Only one RAM slot exists for an eventual upgrade, though. The employed 1 GB bar has to be completely replaced in this case. 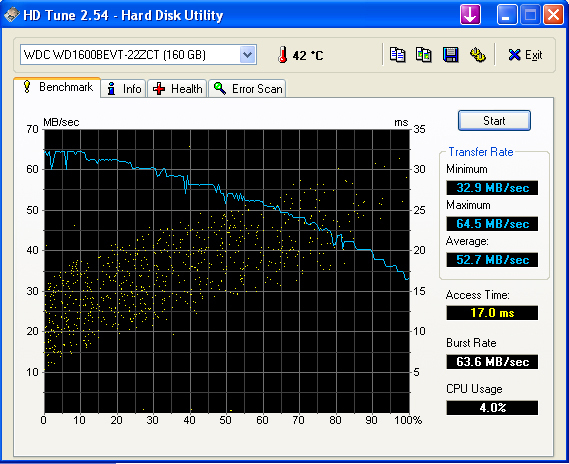 A definitive farewell is bidden to a Mini-SSD as a bulk storage "savings-variant" now. Currently, a 160GB sized hard disk in a 2.5" format is used in the One D150. The data medium from Western Digital (WD1600BEVT) rotates with a velocity of 5400 rpm and reached in the HDTune benchmark test constantly good transmission rates and with 17 milliseconds an equally adequate access time. In the frame of our tests, we could observe a somewhat unpleasant characteristic of the D150 in the low-strained office mode (internet, text input). The fan always started up for a short period regularly, just to reduce its velocity right away again. Generally the volume stayed unproblematic and in a quiet field (33.4 dB(A)) but the perceptible soundscape was almost a bit nervy, especially in particularly quiet surroundings. Absolute silence could only be perceived from us in a completely unstressed idle use in energy savings mode. The noise level indicator climbed to a maximum of 38.2 dB(A) under constant load, all the same a very notable level for a netbook. You'll have to chum up with the more pulsing soundscape in practical mode. The development of the maximum surface temperature under load turns out very untypical for a netbook. After several hours of constant CPU load and of the graphic chip we could note a moderate warming up of the upper side of the base unit as well as an, under certain circumstances, already problematic heat development on the bottom side of the device. We could measure a maximum of 52.1°C in the area of the fan on the bottom side under load. For use on the thighs this is already too much. 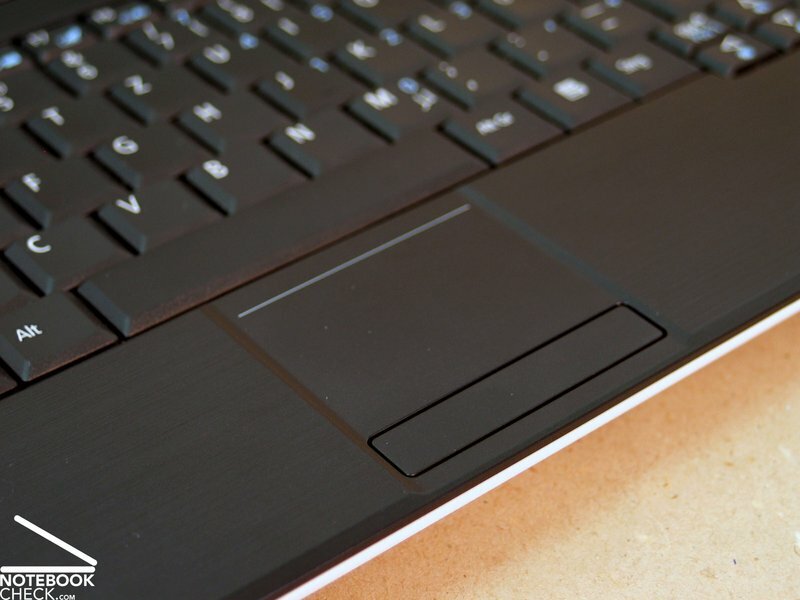 The keyboard stays with a maximum value of 39.8°C within an acceptable range. Fortunately, the observed temperatures in the practical WLAN mode, meaning internet-surfing and writing texts, turned out to be less dramatic. The bottom side heated up to 41.7°C in this state. (+) The maximum temperature on the upper side is 39.8 °C / 104 F, compared to the average of 33 °C / 91 F, ranging from 21.6 to 53.2 °C for the class Netbook. 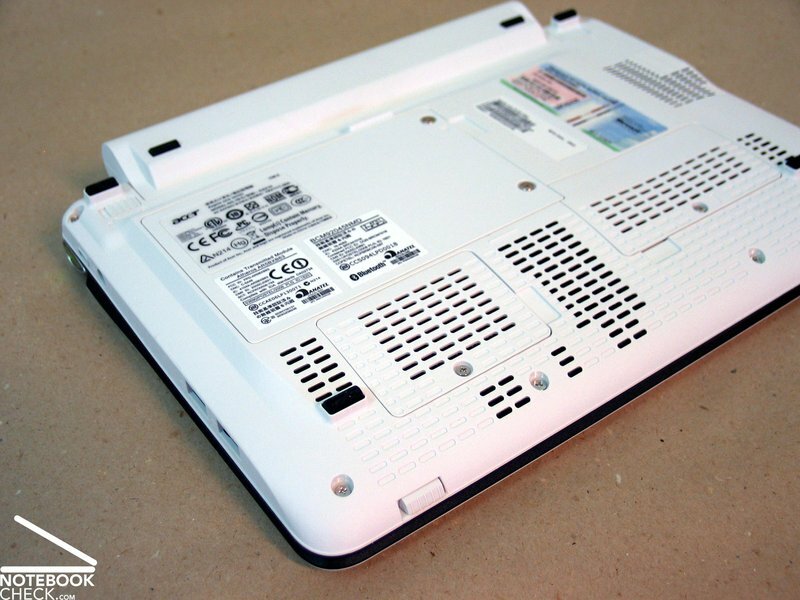 The employed loudspeakers turn out very much worth hearing for netbook conditions. They bid even at a good maximum volume a clear sound. The more minor sonority can be coped with. Those who are into voluminous bass enjoyment should use high quality headphones or feed the audio signal over the 3.5mm socket directly into their hi-fi system. The optically very large constructed 6 cell battery refers to an attractive efficiency in regards to its technical data, too. The mobile energy source with a capacity of 59 Wh, which has an energy consumption of merely approx. 10 watts in idle mode, leaves hope for a generous mobility of the Acer Aspire One D150. The netbook reached a decent runtime of 293 minutes even under load in the BatteryEater Classic test (max. 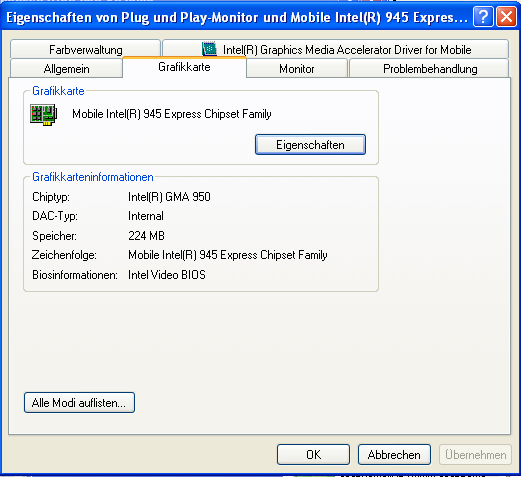 display brightness, WLAN on, energy savings profile). The maximum awaited battery runtime, determined with the BatteryEater Readers test (min. 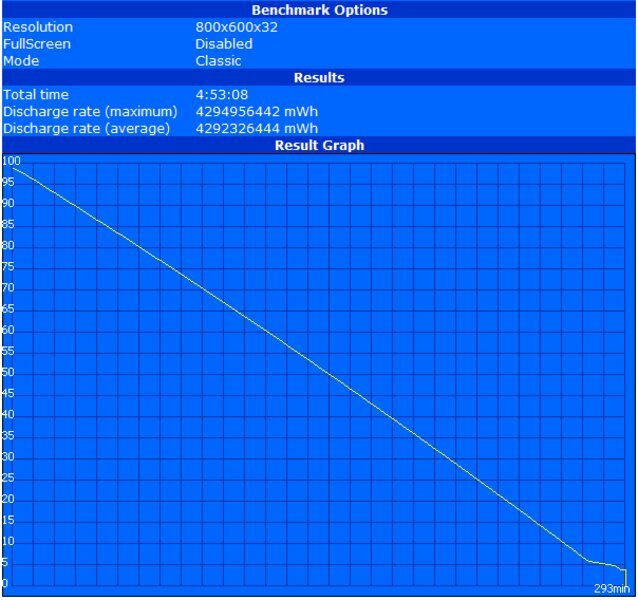 display brightness, WLAN off, energy savings profile), turned out just as impressive. The netbook reached 566 minutes which equals approx. 9.5 hours. That this value can't really be reached in practical use seems obvious. But the Aspire One could fully convince in practical WLAN use (surfing) with 425 minutes. Caution should be applied at the individual battery configuration, though. Beside the most efficient 5 Wh version in our test configuration, there are also a 6 cell battery with a lower capacity of (49 Wh) and a compacter 3 cell battery (24 Wh) available for the Acer Aspire One D150. We were also very curious about how the successor of the up-till-now worldwide most sold netbook would look like and especially where it's going to position itself in comparison to its, in the meantime numerous, competitors. Now the time has come and our overall impression turns out somewhat divided. On the one hand, Acer delivers a very compact and also robust chassis, but for which only plastic components have been applied effectively on the surface. The rivals often show cases of magnesium and aluminum parts. 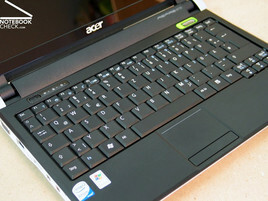 No question, the stability of the Acer D150 is right, but the material impression of genuine metal is something else. Imitating a brushed aluminum structure at the wrist rests doesn't help here very much, either. One step forward has been made in the configuration of the Aspire One D150 with the Intel Atom N280 CPU. This does turn out to be more efficient on the whole than its direct predecessor (N270). Possible competitors, like for instance VIA's Nano U2250 chip, can also still be held at a distance. A critique point in our test sample was the conduct of the fan in office mode. We could perceive pulsating ventilation here, which generally stays quiet but can become irritating in especially quiet surroundings after a certain time. Surprising were also the possible high case temperatures under load which partly correlate to desktop replacements or gaming notebook levels. 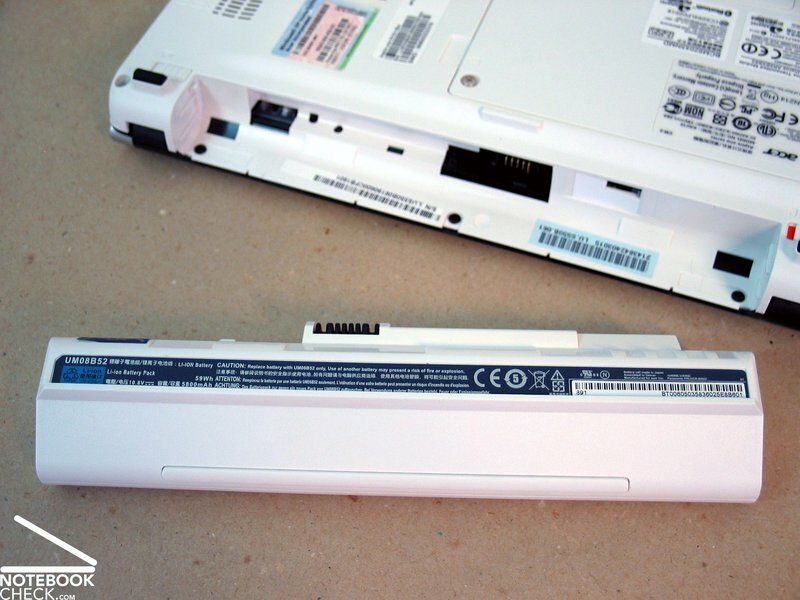 THE uncontroversial trump card of the Acer Aspire D150 is the given battery runtime. The netbook supplies the competitors with proper respect with more than up to 9 possible hours. The device is minimally heavier than many potential competitors with its 1350 grams but in view of the good battery life you can very well live with this. Generally, it has also become necessary, in the meantime, to study the netbooks closely to find out which device covers the individual needs of the user best, even if the prices are very attractive, as before. The offered packages are just too different, even if they often show identical specifications on the surface. 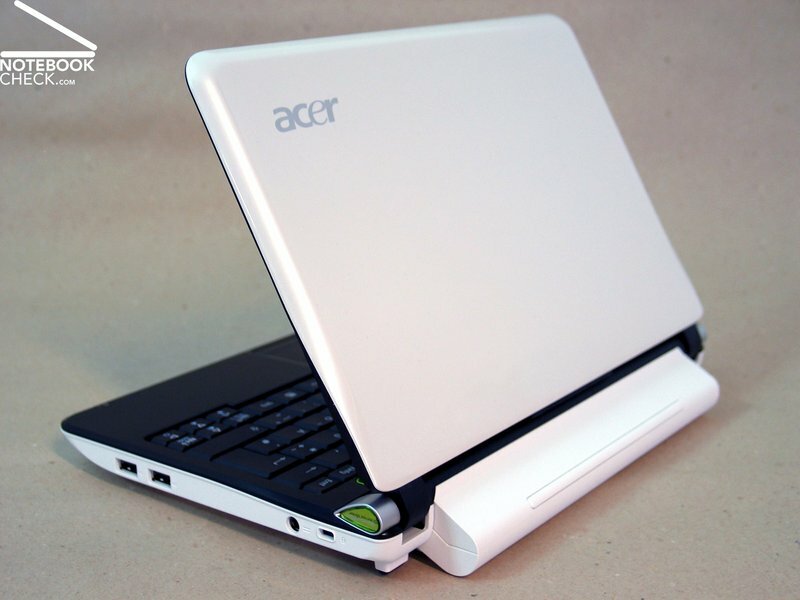 The Acer Aspire One D150 mini-notebook is the first 10 inch netbook from Acer. The built in 10 inch display comes with a resolution of 1024x600 pixels and bids an excellent brightness. The reflective display surface makes working with the device outdoors to an ordeal. Acer sets on the most modern technique of the market leader of processors with the Intel Atom N280 chip. ...grant speedy operation cycles at run of the mill office applications. Unfortunately, the fan made itself somewhat negatively noticeable under low load with its pulsating starts. The maximum possible temperatures under load turn out considerably to high for a netbook, too. Acer offers an enormously efficient energy source for the Aspire One D150 with the 6 cell, 59 Wh battery. 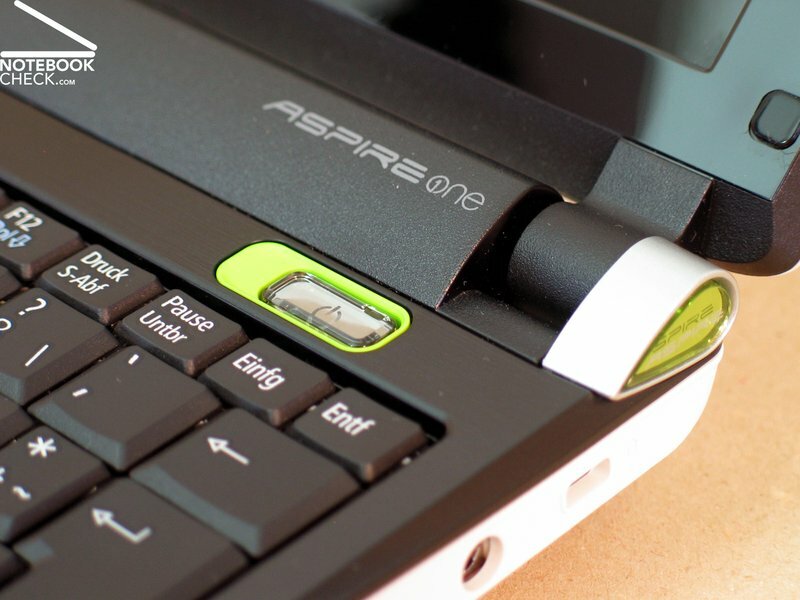 The touchpad key couldn't really convince, which made the use of the Aspire One D150 very cumbersome. This calls for a certain accomodation period in order to type texts reasonably error free. 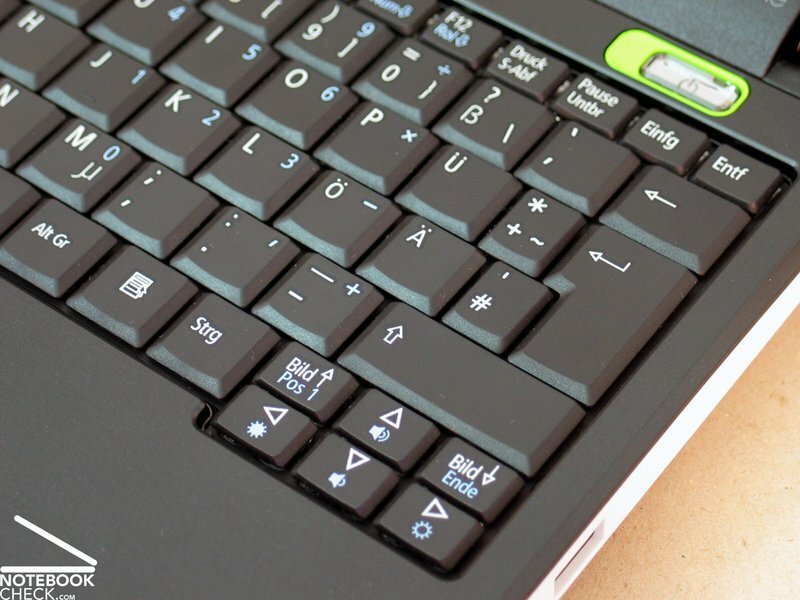 The offered keyboard presents somewhat smaller keys than diverse competitors in the 10 inch netbook category. After the retail hit A110L, a 9 inch device, the staff of standards on the D150 is set very high. The D150 shows a new case, which tries to distinguish itself from the broad mass through a sandwich design. 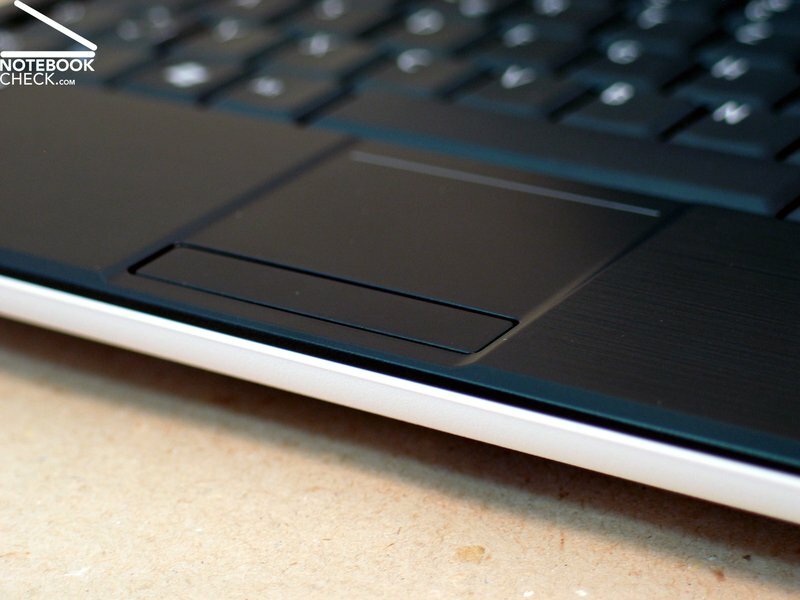 While the netbook is kept in white on the outsides, the device is completely black on the inside. 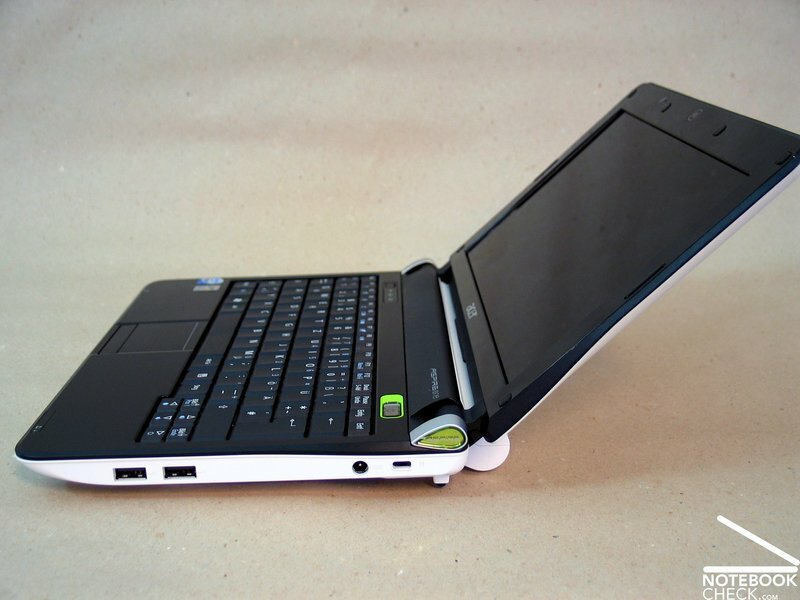 ...which also allows an intensive mobile use of the netbook without further ado. 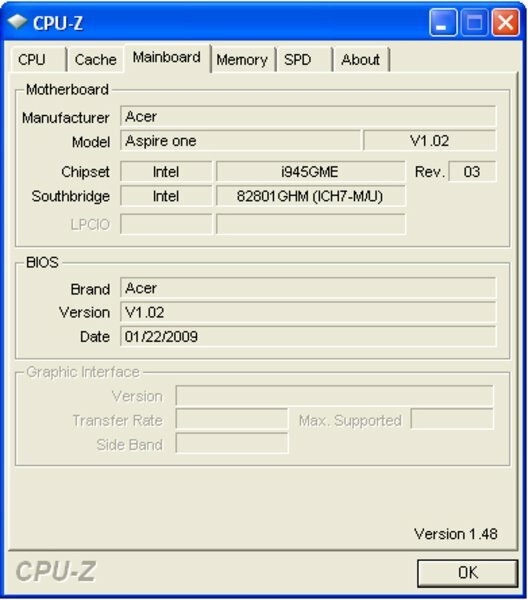 The usual netbook fare of connections are found on the device. 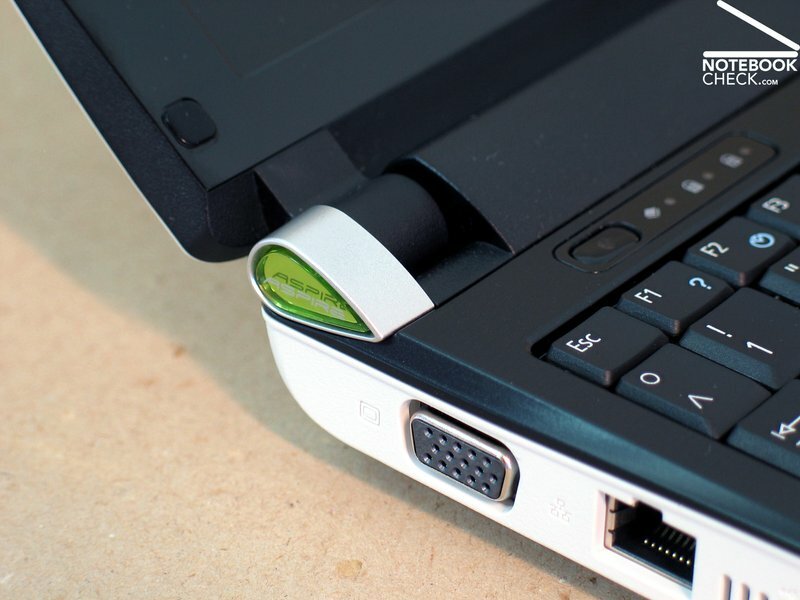 A total of 3 USB ports, a VGA-out and connections for microphone and headphones count to these in the case of the Aspire One D150. Runtimes of more than 9 hours are possible with it. Just short of 40.00 for an extension of warranty of 36 months – that's something we'd like to see by some other models. Primarily, a matt, 100% outdoor suitable display. Hello dear constructors, a netbook would like to be used even at partly adverse light conditions on the go?! Of course, the battery runtime. Acer did everything right here and put a very efficient battery in the case. Thank you very much.